A family-owned business, Starker Forests, Inc. started in 1936 with purchases of abandoned farmland and cut-over and second-growth forests. Today it is a thriving working forest. The company encourages forestry education and offers curricula for use in the classroom. 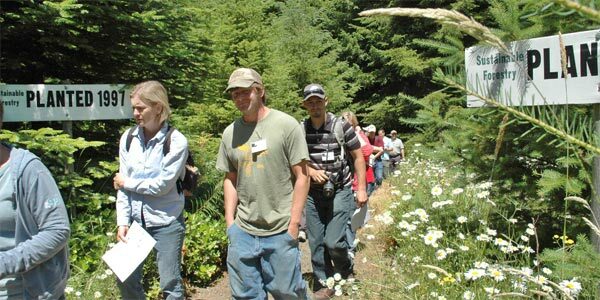 The Starker Forestry Trail is available for half-day and all-day field trips; a forester leads school groups on these trail tours. The Starker family encourages recreational use of their lands and offers tours by appointment. The trail is open all year for self-guided tours. A brochure with directions to the trail is available at the Starker office and describes stops along the trail.